Though she always wanted to act, God paved the way for Belinda Lee to become an award-winning host. Finally, she got the role that God set aside for her: playing a breast cancer patient in last year’s MediaCorp series BRA. She shares with City News her remarkable experience. In an interview with City News, the founder of Daystar Television Network gave advice on how to face issues at different stages in life. Author of Man In The Mirror, Patrick Morley tells City News what it means for Christian men to excel in life. Mike Connell talks about connecting to the fatherhood of God in his latest interview with City News. City News caught up with Derek Dunn, senior pastor of City Harvest Church, Orange County in California, USA for a chat about his church and family. The latest album from C3 Music, Abide takes worshippers back to the place of living each day in Christ. 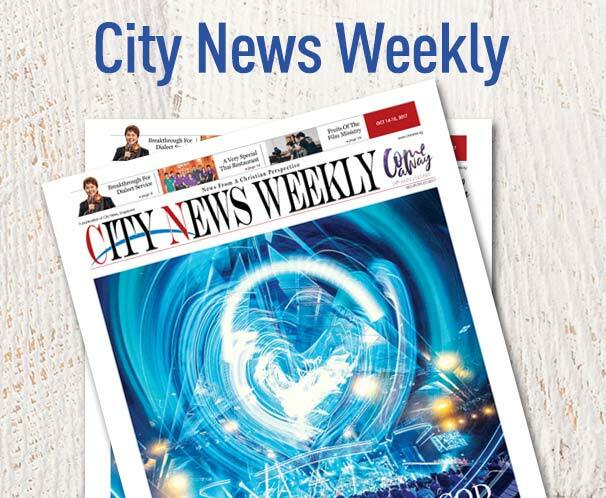 Following his rousing message on the power of praise on the weekend of Sep 4-5, 2016, City Harvest Church’s advisory pastor Phil Pringle spoke to City News about applying the sermon to one’s life. Bishop Dale Bronner speaks to City News about manhood, the marketplace and miracles.